"It's the coolest thing a whiskey fan could possibly do," said Paducah Bourbon Society President Brian Shemwell shortly after departing the Jim Beam distillery. 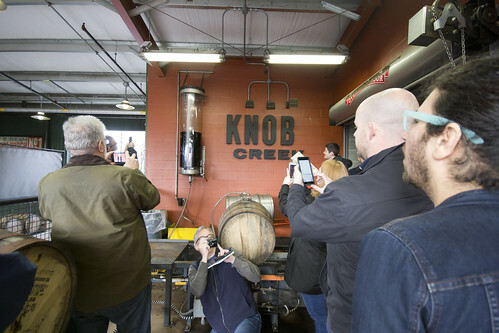 He, along with other members of the society, had selected a single barrel of Knob Creek bourbon and followed it as it was processed and ultimately bottled. "There is no better way to experience the craft and creation of Kentucky Bourbon Whiskey than to participate in a single barrel selection," says Brian. 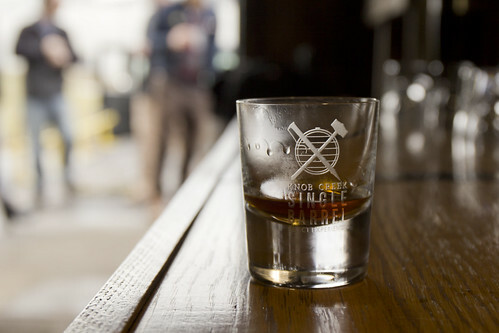 "They have anywhere between 3 to 15 barrels of the same type of bourbon lined up for you to sample. 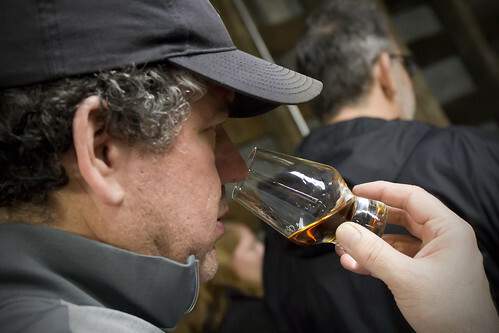 You sample that bourbon—whether it's Eagle Rare, Wild Turkey, Four Roses—in it's purest form, straight from the barrel, uncut and unfiltered." The magic lies in the variations that occur during the aging process. 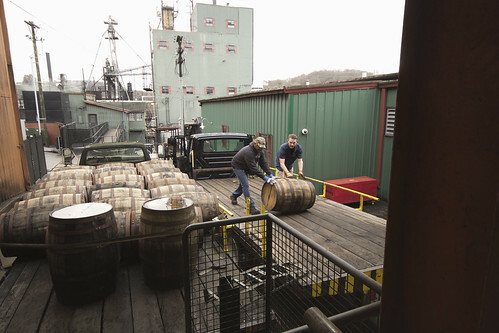 Each barrel is distinct, and flavors vary based the weather over the years and each barrel's location in the rickhouse. Even barrels located relatively close to one another may produce distinctly different flavors. And even though it's about finding the best bourbon possible, Brian says it is all about the experience. "By the time you select the barrel and wait for it to be delivered to the retailer, you already have an emotional attachment. You remember what it was like walking in to that rickhouse. You remember the air. You remember the smells. You remember that you looked around and realized that the contents of the barrel were 9 to 15 years in the making. You start trying to remember what you were doing 9 to 15 years ago. What your life was like. What you were doing. Your relationships. Your jobs. Your perception of the world. The anticipation mounts, and when you go to the store and purchase that bottle of bourbon that you helped hand select, all of those memories and experiences flood you all at once. And I promise you, when you open the bottle and pour your first glass, you taste one of the finest bourbons you've ever had the pleasure of tasting. Why? Because it's about the experience, not the contents. It's relevant to the people you were with, the conversations, the smells, the tastes, the debate, and the decisions you made when you went to select that barrel. That barrel is special to you." 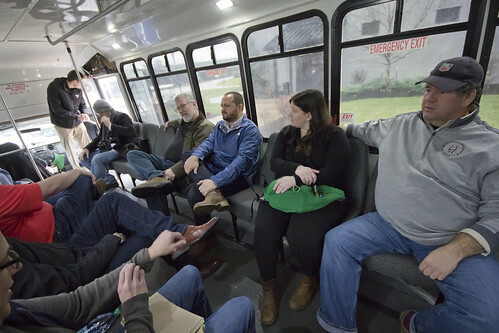 The Paducah Bourbon Society, under the leadership of Brian Shemwell and Fish Adams, have been assisting local retailers Roof Brothers and Wagner Wine & Spirits with barrel selections—and they've extended that experience to other members of the society. 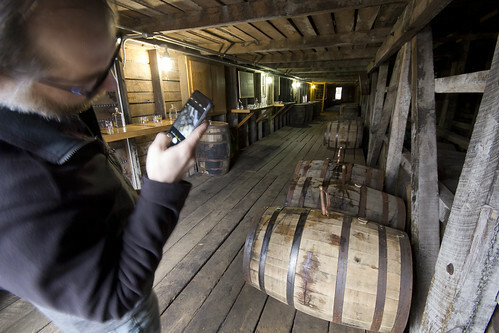 Last year, Jennifer Blair went to her first barrel pick at Buffalo Trace. "Having never even been to a distillery I wasn't sure what to expect," she says. "What I discovered was far beyond my imagination! From the caramel and vanilla notes to the oaky, sweet finish, my palate grew that day! I picked up on so many flavors that I hadn't noticed before." Chris Riley visited Wild Turkey twice, helping select single barrels for local retailers. "I considered it quite an honor to have Eddie Russel guide us on one barrel selection," he says. "To have the master distiller twice guide us through the best that Wild Turkey has to offer is either an extraordinary stroke of luck or a testament to the level of care given by Wild Turkey to the people who are enjoying their product. The truly interesting thing to me is that after having visited Wild Turkey twice now and having sampled at least 18 different barrels of their product, I can now say that anytime I taste a WT product, at the core is a flavor that is uniquely Wild Turkey. Other bourbons have many similar qualities, but something about their products is distinctly theirs, and you can taste in the bourbon the aromas that you smell only when standing in the rickhouse among the barrels as Eddie is pouring you a glass from the thief as he takes a sample from a barrel that somehow he knows will be the best that it can be." Brian and Fish want to multiply the experiences of Jennifer and Chris. The moments are unforgettable—stepping into a decades-old rickhouse at a distillery that helps define Kentucky's history; the earthen smells of oak, corn, rye, and barley; the taste of our state's native spirit straight from the barrel; the timeless process that has been years in the making. 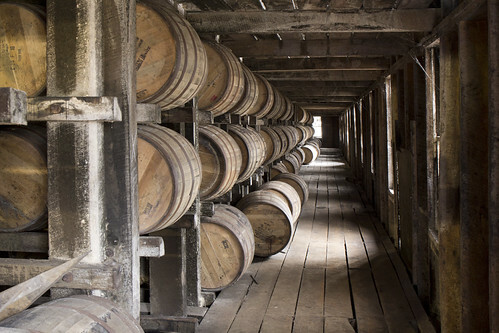 These are the moments that transport a bourbon fan's mind to a different place, a different time. For a while, the world fades away, and simple, time-honored traditions are shared among friends.